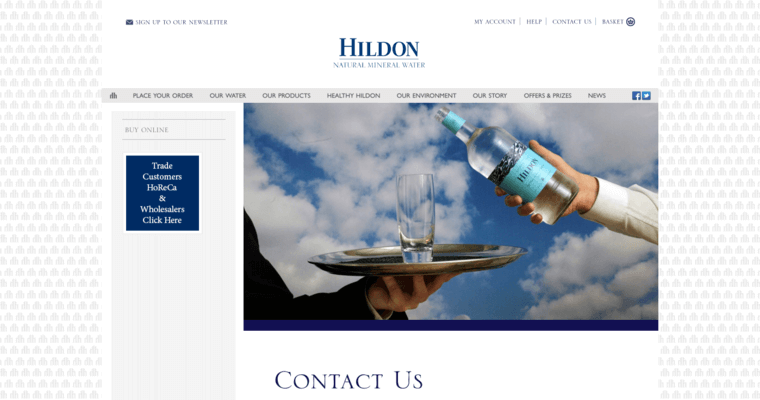 Hildon is a rising water brand that is known for its signature bottles. They are tall, skinny, and capable of holding a deceptive volume of water. 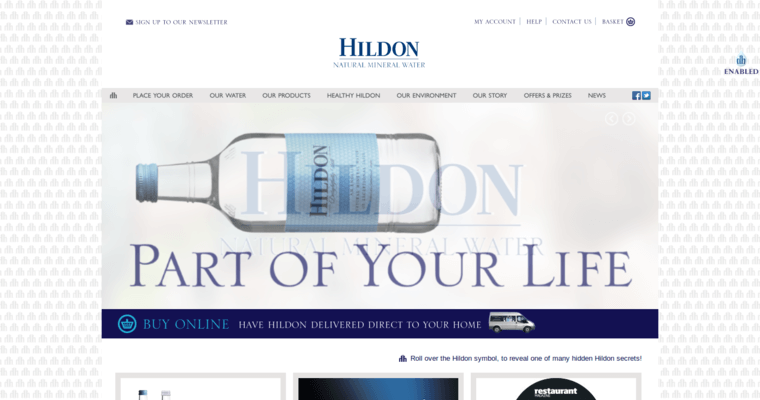 Hildon is highly focused on the aesthetics of their products and how these designs appear to consumers. In recent surveys, drinkers have responded well to these designs. People have praised this sort of innovation and their willingness to think outside the box. In addition, Hildon creates high quality products. Using a dual system of filtration and reconditioning, they are able to eliminate unwanted objects from the water. This leaves a pure product that is then bottled and shipped around the world. 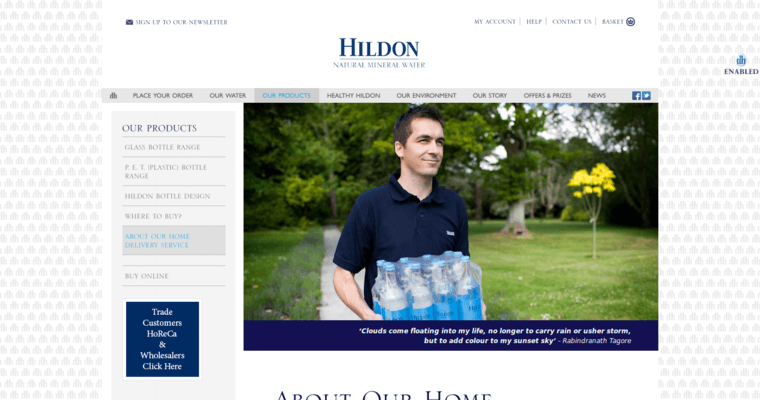 Because they are a strong company in many facets, Hildon has been recognized as an innovative leader. They are able to ship to any country and any zip code.